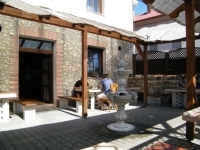 Dear visitor, welcome to the website of our hotel with a restaurant. Our goal is to show you the good side of our hospitality and we wish you to enjoy rest and in peace, enjoy our food and drinks. Constantly strive to meet as soon as possible and preferably all your wishes and moved to your table the best of what gives our kitchen and cellar. We are confident that You will enjoy it. We also welcome any tip on how to continue to improve our work. 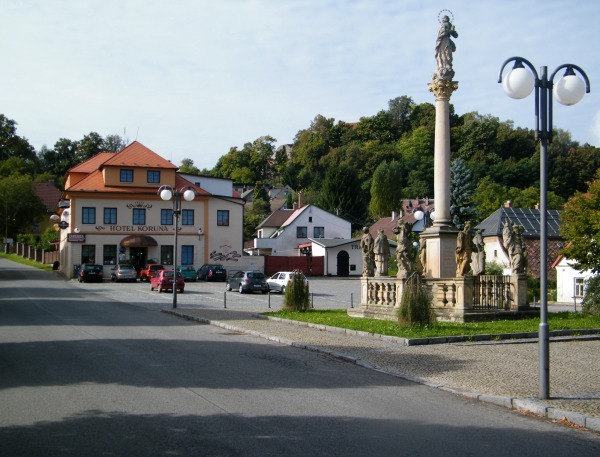 Our three-star hotel Koruna is situated on the upper side of the square under the Stone Castle of the village about 8 km from Nová Paka. The Hotel comes from the 18 of the century. In 2005, has been renovated. Directly in front of the entrance is a parking lot for hotel guests. Hotel guests and visitors of the restaurant is available free of charge Wi-fi Internet connection. For the sports-minded guests is available lockable storage room for bicycles and skis. 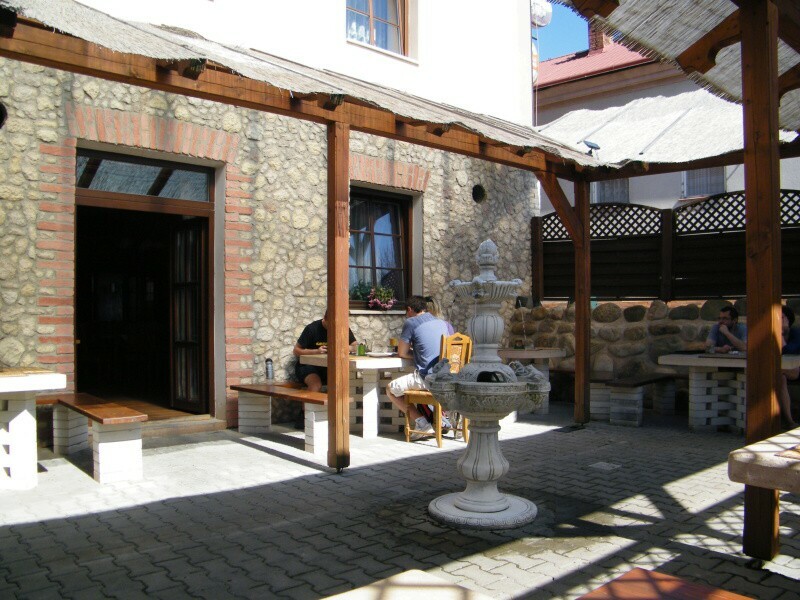 In the summer months it is open roofed terrace with a fountain. A team of workers, our hotel invites you to a pleasant year-round, you spent your holidays.